Is it not an oxymoron to call a cheesecake skinny? No! This low fat cheesecake was born from a windfall of apples and a lonely tub of cottage cheese in the fridge. 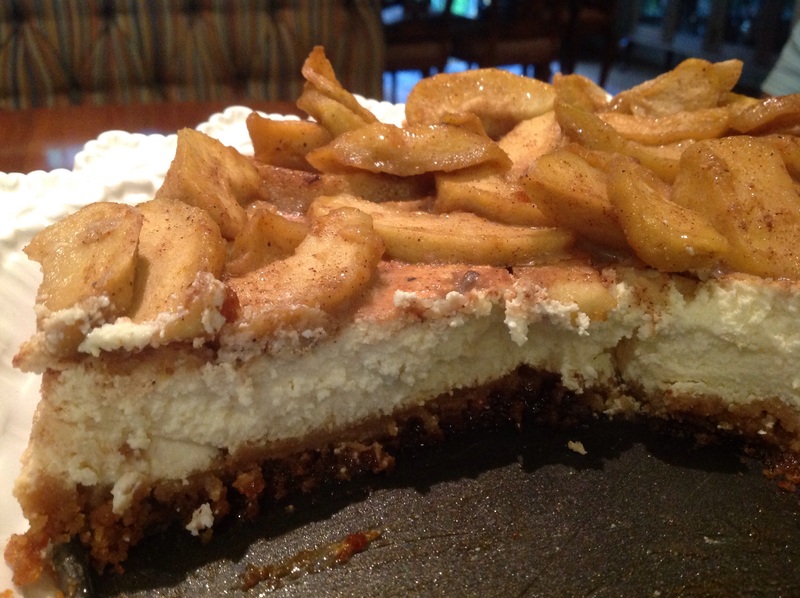 Calling it a “Cottage Cheese Apple Cheesecake” would surely have sent readers scurrying. 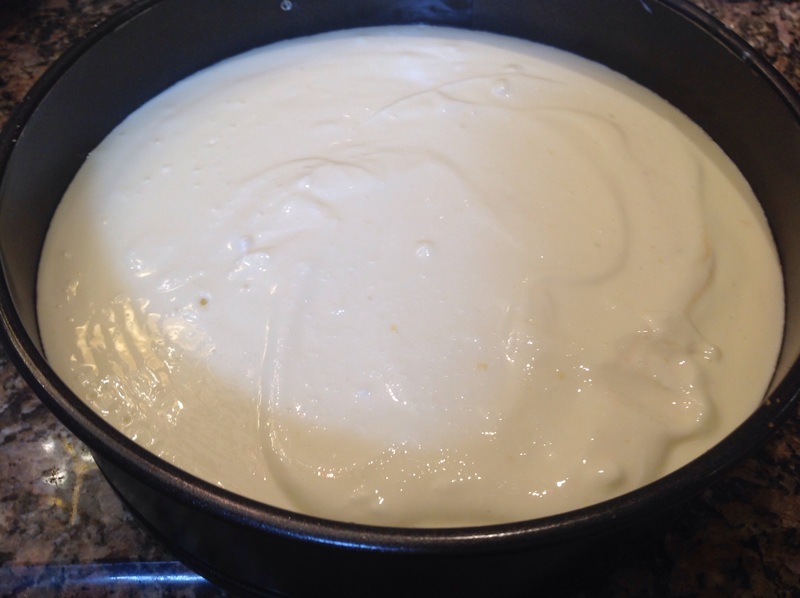 Yet making a cheesecake with cottage cheese totallly worked and reduced the fat content considerably. The texture of the cake was creamy and rich in spite of the absence of traditional cream cheese, much like that achieved with ricotta. The sliced apples sautéed in brown sugar and butter made for a decadent topping. The cake would be good also with a gingersnap crust for extra seasonal appeal. Apple filling: In a large saucepan, melt butter then add apple slices, brown sugar and cinnamon. Cook on medium heat, stirring often, until apples are soft. Cool to room temperature. Reserve. 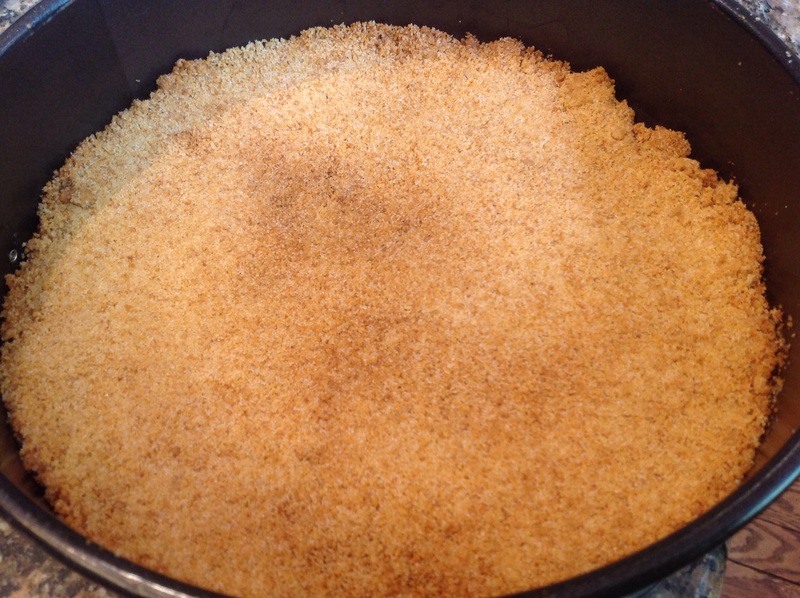 Crust: Preheat oven to 350 F. In a small bowl, mix the Graham cracker crumbs, sugar and melted butter. Press into the bottom of a greased 9″ Springform pan. Bake for 10 minutes. Cool to room temperature. 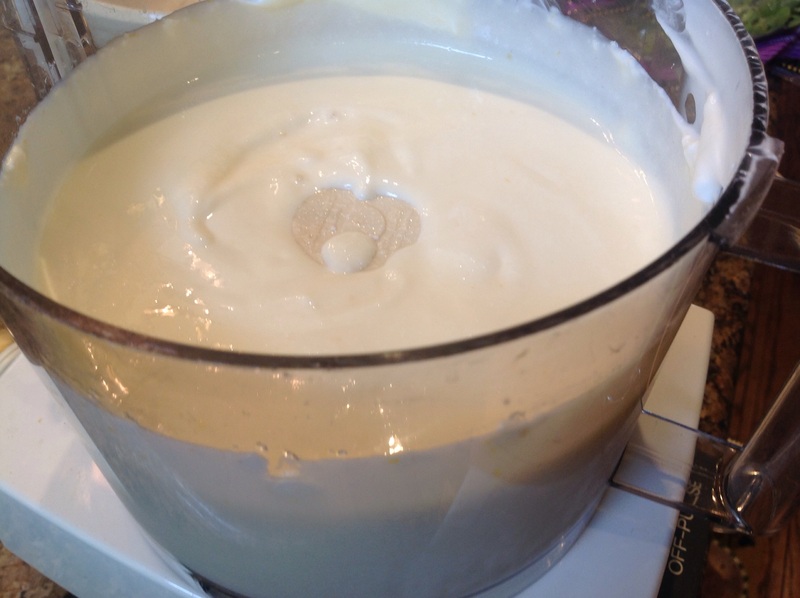 Filling: Preheat oven to 325 F. In a food processor, mix together the cottage cheese, sour cream, eggs, vanilla, sugar and cornstarch until mixture is smooth. Pour over the cooled crust. Bake on the middle rack for one hour. Center should be almost set. Let cool for an hour on a wire rack. 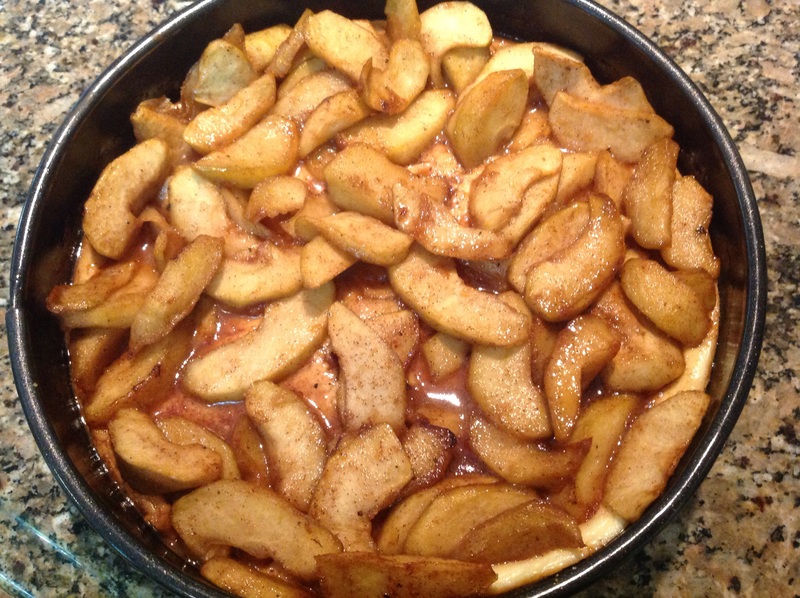 Top with the cooked apples and refrigerate until ready to serve without removing sides of the pan until ready to serve. 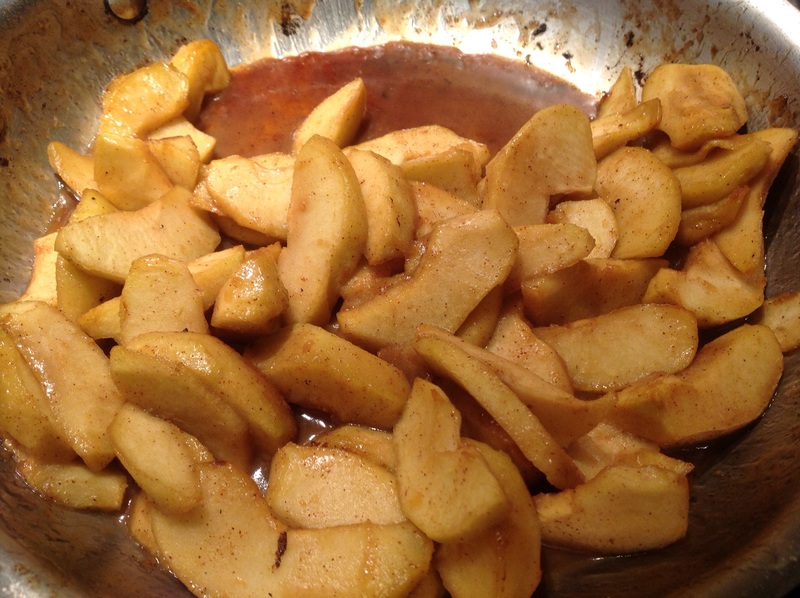 Apple slices being sautéed in butter and brown sugar. Graham cracker crumb crust bake until just a bit golden. The filling poured over the crust before baking. 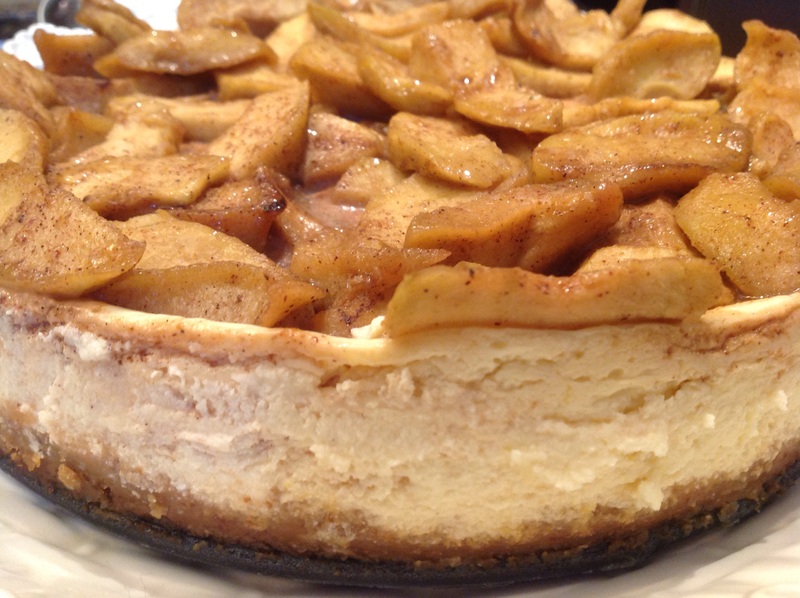 The apples spread over the top of the baked cheesecake. 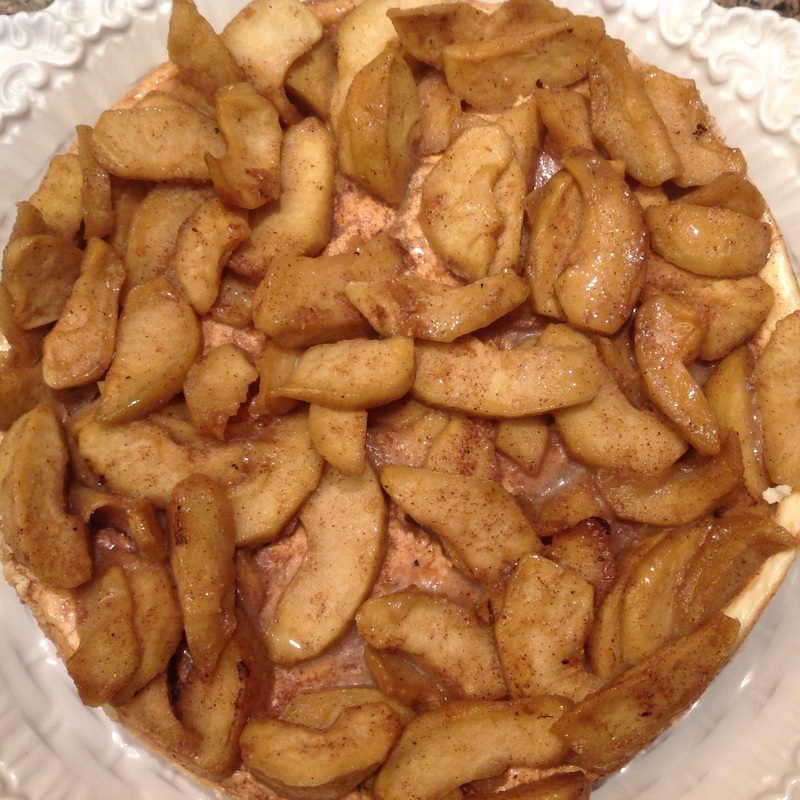 This entry was posted in Recipes and tagged Apples-topped cheesecake, cottage cheese apple cheesecake, low fat cheesecake with cottage cheese by Johanne Lamarche. Bookmark the permalink. Looks like a great overhaul, great use of cottage cheese and soured cream 🙂 and I always love your quotes! Love the skinnier version of this cheesecake. Just another apple recipe to add to my “to-do” list. So many apples, so little time!!!!!! Aren’t you clever Johanne, it certainly looks like the real deal! This sounds fantastic, finally a no guilt cheesecake! Pinning! Plus apples are checking off the fruit and vegetable food group, so we’re even being healthy right?????? 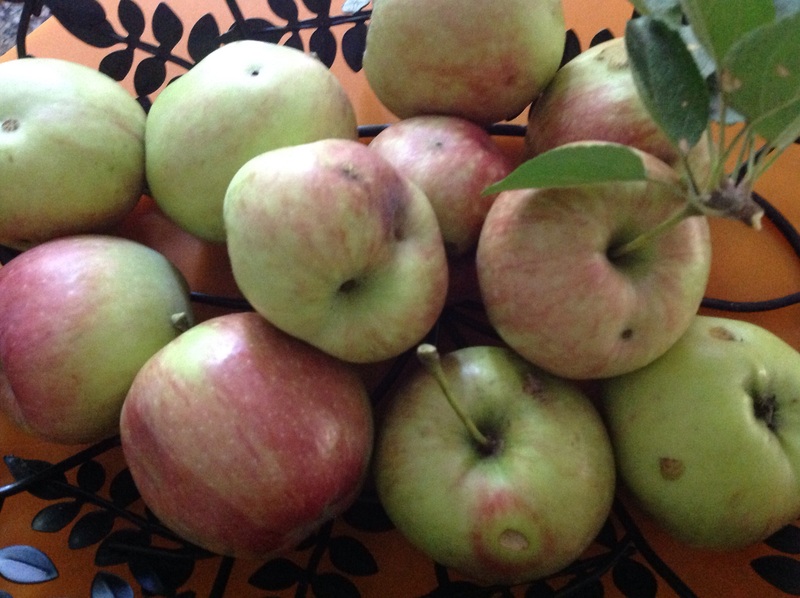 Another yummy desert to try when a bag of apples come my way from the orchard. You must be in Canada celebrating with Mom and Michelle. Best wishes to all. Hope Stephane is doing better. Wow!! Its great how you improvised wit h the ingredients!! Cottage cheese? I wouldn’t have tried that but when i look at the pictures it looks so yummy. I should! Glad you liked the recipe. I too was surprised at how well the cottage cheese worked in a cheesecake. What an interesting combination, and yes I can see that it must be delicious. Will have to try it as well. 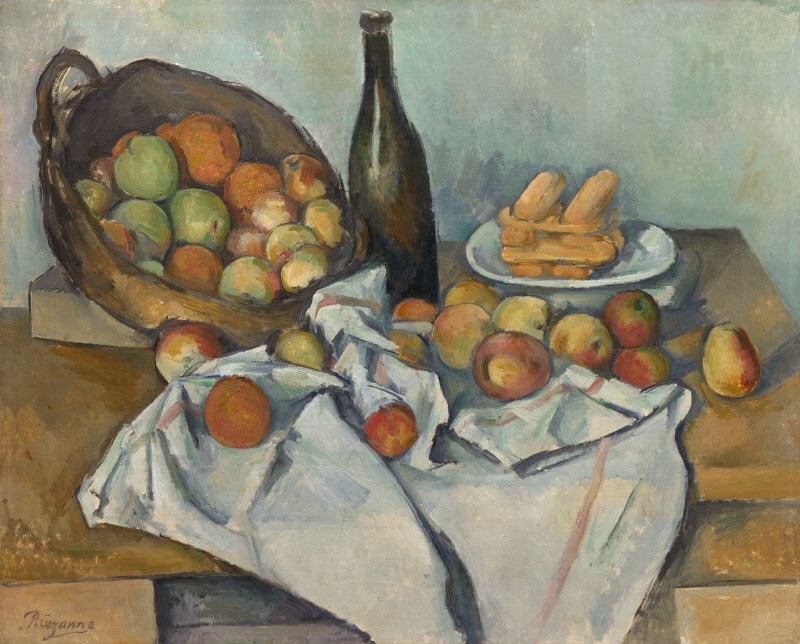 I am astonished every time I see this Cezanne painting…aren’t you? I love it and your post and that you often connect them to art work that can and often change our lives for the better. Great recipe as always. Happy November. Such a simple painting, yet it transformed the art world and our perspective forever. I love it too Teresa and glad you got to be astonished once again, for a few minutes today. There was an exhibit at the Philadelphia Museum of Art a few years ago on Cezanne as the father of Modern Art and all the artists he influence. And to think an apple could hold such power!